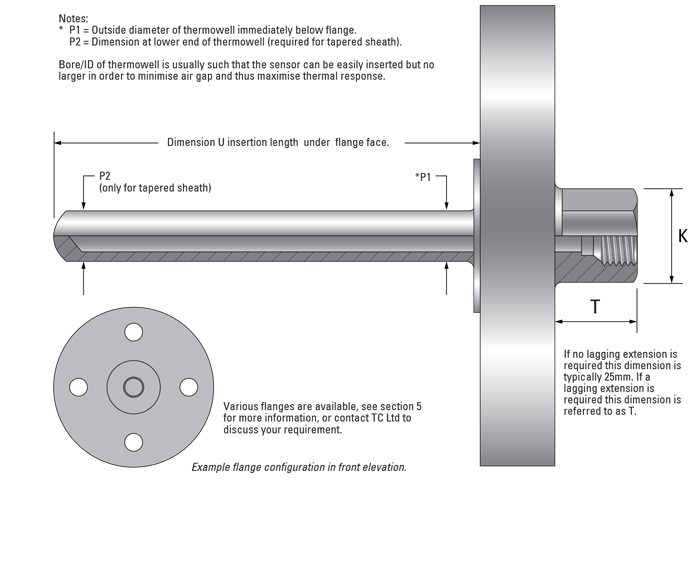 Flanged Thermowells - TC Ltd.
﻿﻿Welded flange onto a welded end fabricated Thermowell with a female threaded connection. Parallel sheath. ﻿﻿Welded flange onto a machined from solid Thermowell with a female threaded connection. Tapered or Parallel sheath. ﻿Vanstone Style. Machined from solid, designed to be mounted between two mating flanges. 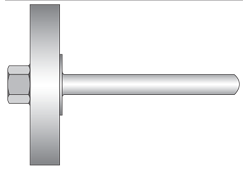 Dimensions should correspond to mating raised face of process flange. Tapered or stepped. ﻿Very good corrosion resistance throughout the operating temperature range. Suited to a wide range of industrial applications. Enjoys high ductility. Werkstoff No : 2.4858 ﻿Highly resistant to corrosion & oxidising conditions. ﻿Other sheath materials are available upon request. ﻿Flanges are manufactured in accordance with internationally recognised standards such as ANSI, DIN or JIS. ﻿Generally, flanges are supplied in 304 or 316 stainless steel, however other materials are available to match exotic sheathings. Other types of flange are available, please contact us for details.